When Juli felt a lump she didn't see a doctor. She knew she couldn't afford it. Couple years later she's cancer free and tells you how she beat cancer on a budget. I am an immigrant with legal status in the United States. I am a Dreamer, and I received my DACA card almost 4 years ago. Prior to that, I was unable to work, drive, or get health insurance through the Affordable Care Act marketplace. When I finally received my DACA clearance, I began from zero. When I felt a lump in my breast, I assumed it was a cyst because I had previously been diagnosed with polycystic ovarian syndrome. Besides, having been relatively healthy my entire life, I had no idea how hospitals worked or what programs there were available to those without insurance. I wasn’t sure how to proceed…so I didn’t. What if it was cancer? I was legitimately concerned about having to pay out of pocket. Everyone knows cancer costs can be astronomical. Most of my salary would be going towards treatments. What about rent, food, utilities, life? I didn’t see a way it was possible, so I did nothing. Then it happened – I was diagnosed with stage 2 breast cancer. Panic set in. I had finally landed a job (legal under DACA) where I could grow and have a future. Unfortunately for me, I was at the job less than two months when I was diagnosed. I wouldn’t be eligible for insurance for another month and a half. But my doctors wanted to move quickly. I was responsible for the biopsy bill and the doctors’ visits following the biopsy. $2,648. Everything moved so fast. I had no idea what I was going to do financially. Honestly, I wasn’t sure what scared me more: the cancer or how much it was going to cost me! I usually paid for yearly doctors’ visits out of pocket. Cancer was an entirely different ball park. I was looking at hundreds of thousands of dollars. I was looking at a choice between food, transportation, shelter or insurance. I was new at my job and starting from the bottom. My salary was not enough to cover all of my costs. There are wonderful Public State Hospitals in New York City that take patients who don’t have insurance. They don’t require insurance up front to see you like a lot of other hospitals. They also work with patients to find a comfortable payment plan. They even scale down payments based on income. I was on the high end of the qualifying income spectrum, so I would end up paying more, but instead of paying over $2000 for something like my port placement surgery, the fee would be closer to $600. I was desperate. Even though I am a prideful person, I turned to Go Fund Me, something I am seeing more people do lately. My plan had always been to be open with my friends and family about my illness, but going online and begging for money like some medieval peasant was super difficult. Then something amazing happened. My friends, family, and even complete strangers stepped up and donated. I was shocked by the sheer volume of people who reached out and helped me. Go Fund Me was definitely a life saver. Though to be clear, it’s no substitute for good healthcare. It did help me cover out of pocket costs. But for someone facing a lot of expensive treatments, it’s not an answer. What helped with my bigger costs was the financial assistance center at my hospital. Before any surgical procedure, such as a port placement, you have to go to the financial office at Elmhurst Hospital to be address cost. You either submit insurance information and pay the difference, or if you don’t have any insurance, pay out of pocket based on the fee scale. Since I didn’t have insurance at the time, I was looking at a $600 fee for my port placement procedure, which was fine, but it wouldn’t be sustainable throughout treatment. I wouldn’t be able to pay for my double mastectomy out of pocket. That was when my advisor told me to see one of the insurance representatives whose booths littered the lobby. To say I was ignorant of the healthcare system and insurance is an understatement. Before my financial advisor told me that I could visit a booth and apply for insurance, I had no idea I could get insurance outside of the work-place. All I knew was that Obamacare was not available to DACA recipients like me, so I couldn’t go use the healthcare marketplace. I didn’t know different states had different rules for who could apply for insurance. I thought there were no options available to me! I sat down in the small booth and filled out forms. Then I gave the person my social security number and waited for “DACA recipient” alarms to go off. I braced myself for rejection. Surprisingly, I was not rejected. In fact, I qualified for Medicaid. It turns out New York extends Medicaid to Dreamers. I had been making myself literally sick with worry. Were doctors going to refuse to see me? Eventually would I be unable to afford the out of pocket for a surgical procedure? The stress evaporated off of me like steam. I have never been so relieved in my life. New York, California, Massachusetts, Minnesota, are the four states, and the District of Columbia, that currently make Medicaid available to DACA recipients. Medicaid is a wonderful thing! It was a life saver quite literally. I had to pay very little out of pocket for my entire treatment. Apart from the fees that I incurred early on, I didn’t have to pay more than the occasional couple of dollars, usually for prescriptions. If I knew my taxes would go toward helping someone in a similar situation survive and do it without stress, I would pay double the taxes that I pay now. Many states do not offer this sort of assistance to immigrants and much less so to illegal immigrants. The stringent requirements to qualify for aid are a roadblock to citizens too. Through my journey I have met a lot of fellow cancer survivors who had to crash on friends’ couches because cancer left them broke. It’s not easy. I know. You may find more options available than you imagined. There could be clinics that take in-need patients with little money or documentation. When you are ill, it is so important to be your own advocate. The last thing anyone wants to do when they find out that they have cancer is deal with finances, but it’s necessary. If you don’t feel like doing it enlist a great friend, partner or parent. Let them help you. Just remember to exhaust all options. Be tenacious. There is a wealth of information both online and at hospitals. The more you make the system work for your budget, the less you’ll stress later when dealing with all of the bills! 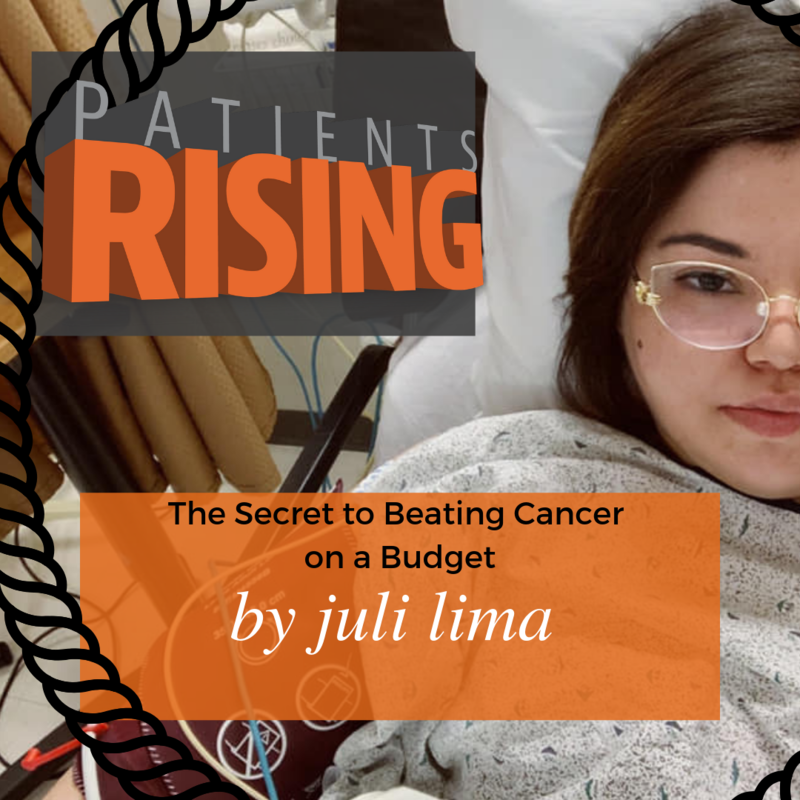 Julie Lima is stage 2b breast cancer survivor who wants to live in a world filled with amazing and affordable healthcare, good books that come bundled with cupcakes, and a cat-cafe on every street corner. 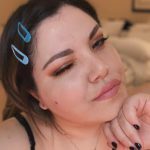 With little to no formal writing experience, Julie has started a blog – The Pessimist’s Guide to Cancer – as well as an Instagram page focused on thriving during and post cancer treatment. She is passionate about confronting her cancer and navigating the healthcare system with a raw, honest opinion, not sugar coating the realities of being a cancer patient in America.